The Bruck Cantara Glas 190 Down Pendant Light LED, chrome matt is characterised by discreet elegance. The pendant light by Bruck owes its timeless appearance to the flat cylindrical shade made of hand-blown glass, which is painted on the outside and either painted on the inside as well or plated with precious metals. Thereby, the Cantara Glas 190 Down Pendant Light LED radiates a prestigious flair, which gives the room that certain something. Inside the shade, is diffuser made of pressed glass that shields the LED module and thereby prevents it from glaring. A second diffuser inside provides for perfect glare control. The lacquered shade radiates pure elegance. The cover on top reflects the light emitted downwards. The Bruck Cantara Glas 190 Down Pendant Light LED, chrome matt focuses its warm-white zone light downwards and provides for a harmonious accentuation of the table surface below. Furthermore, its light is completely glare-free due to its second shade inside which makes it a perfect lighting solution for dining tables. What is more, the Cantara Glas 190 Down Pendant Light LED is equipped with modern LEDs that require only very little energy. 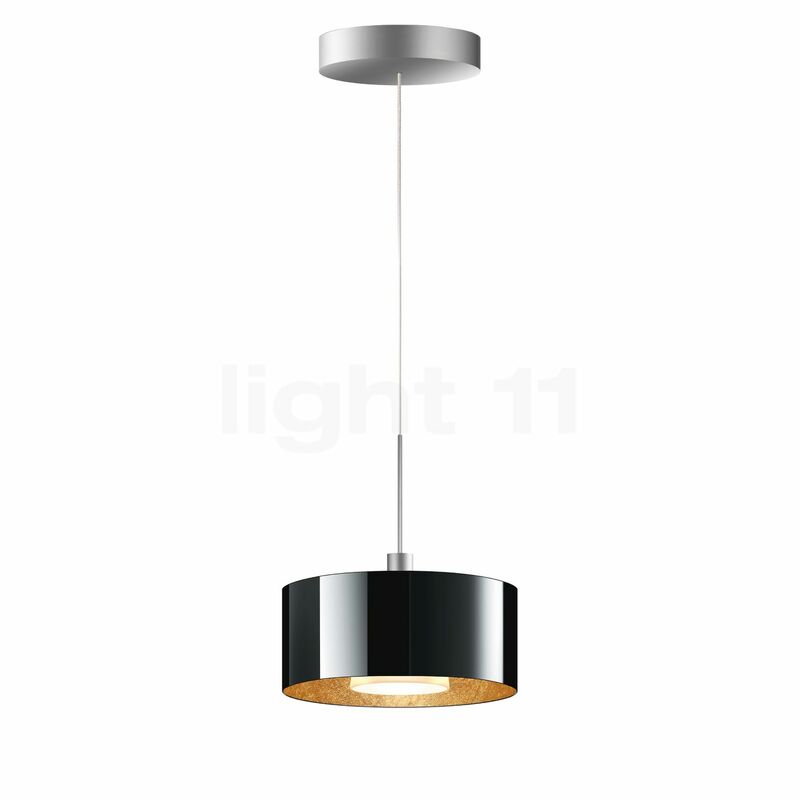 Tell other customers and us about your experiences with the Cantara Glas 190 Down Pendant Light LED, chrome matt ! The Bruck Cantara Glas 190 Down Pendant Light LED, chrome matt is usually suspended above a dining table. There, the pendant light supplies pleasant, glare-free light that accentuates the food and drinks on the table. In this way, the Cantara Glas 190 Down Pendant Light LED creates a homely atmosphere for a relaxing dinner with the family. Furthermore, the pendant light by Bruck may also be installed above a counter in the kitchen or a coffee table in the living room.